Have you every wondered about the history of scrapbooking? I first learned about scrapbooking in 1999. It was new to me but I knew it had been around for a while. I was surprised to learn that people have created versions of scrapbooks for hundreds of years. Our concept of scrapbooks is usually a combination photo album, journal, and keepsake with some pretty embellishments on the page. We buy scrapbooks from a Creative Memories advisor. Or sometimes we find them at a discount or craft store. Or perhaps we create our scrapbooks on the computer and then print the pages later. The early history of scrapbooking looks as similar to modern scrapbooks as a seed does to a flower. But you can see the future of scrapbooking in very early albums. The word album can be traced back to the time of the Romans and Greeks when edicts and other announcements were written on stone, metal or wood tablets. Around 1600, people began to create “commonplace books.” They gathered and wrote down “good sayings and notable observations” in these blank books. In 1706, Lohn Locke published his New Method of Making Common-place Books. He wanted to teach others how to preserve proverbs, maxims, ideas, quotes and phrases in these books. Believe it or not, people still make these! And authors like Theryn Fleming consider websites like Evernote to be today’s version. In the late 1700’s, William Granger decided to include extra blank pages in his published books so people could paste in whatever illustrations, letters, or autographs they chose. A grangerized book became a hybrid that was altered or even rebound. These printed book/scrapbook combos, called extra-illustrated books, reached the height of popularity in the 19th century. The Huntington Library, Art Collections, and Botanical Gardens featured grangerized books in an exhibition on 2013. I can’t believe how well some of these have lasted through the years! Samuel Rudder, A New History of Gloucestershire. Cirencester, 1779. The Huntington Library, Art Collections, and Botanical Gardens. In the late 1790’s scraps appeared. These were die cut glossy printed paper images left over from printing jobs. Collectors preserved them in scrapbooks. Publishers saw the demand and began to publish these scraps, also known as die cuts, reliefs, or chromos. People used these to decorate Christmas cards & Valentines. Scrapalbum.com has some beautiful examples. 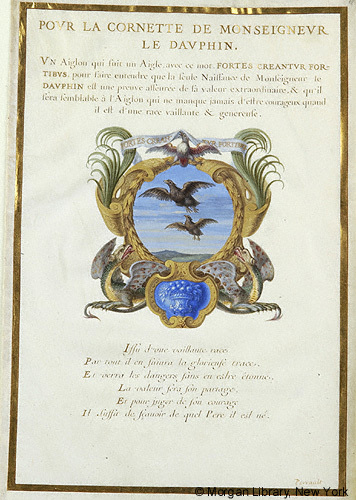 In the 19th century, young ladies kept friendship albums. They included autographs, poetry, and wishes from their friends. A few had photographs and even hair weavings. They were beautiful with embossed covers and engraved clasps and locks. 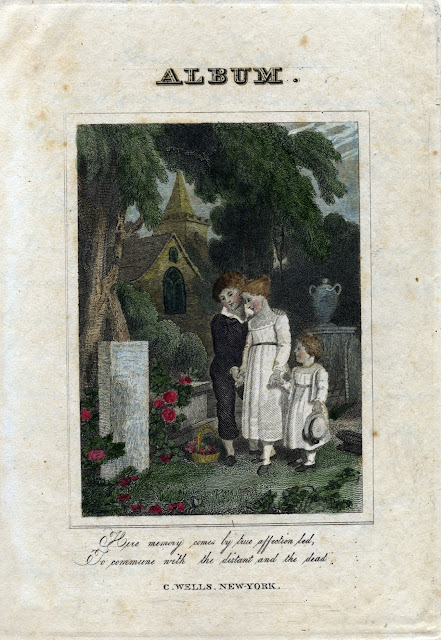 Joan Gage explores friendship albums on her blog. They are getting much closer to our idea of modern scrapbooks. 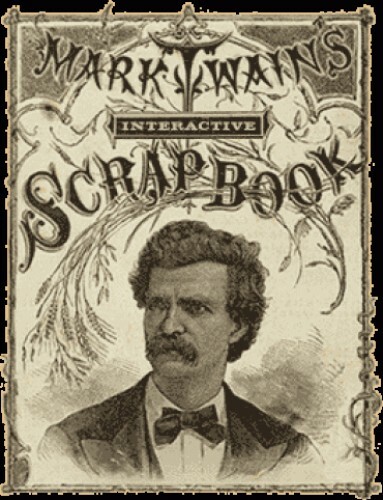 Mark Twain marketed his self-pasting scrapbook in 1872. By 1901 at least 57 different types of Mark Twain albums were available. ConnecticutHistory.org says that the Interactive Scrapbook was Mark Twain’s most lucrative invention. Victorian women expanded their uses for scrapbooks. They used them as craft projects, to document family history or an event, and as a way to preserve letters or photos. Sound familiar? They purchased scraps and die cuts to include. Victoriana Magazine suggests that they were able to preserve odd and curious bits of information, stories, artistic sketches and other memories which otherwise might have been lost. The photo album became the most popular form of scrapbooking by the 1930’s. It had been around since the late 1800’s. In the late 1980’s and early 1990’s, scrapbooking exploded as a popular hobby again. Creative Memories was founded in 1987, bringing scrapbooks into hundreds of thousands of homes. In the early 2000’s scrapbooking software and websites made it easier for digital photos to be turned into digital scrapbooks that can be printed as photo books or as page prints and included in traditional scrapbooks. Digital scrapbooking has caused the hobby to grow again. While many of us are no longer “reading with scissors” like Louisa May Alcott reportedly did, we are certainly cutting and pasting our memories into beautiful albums. And we are joining men and women who have been pasting and embellishing for centuries.